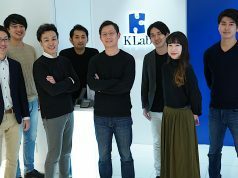 Venture Business Creation Council, Japanese Ministry of Economy, Trade and Industry, The Tokyo New Business Conference (Connect! 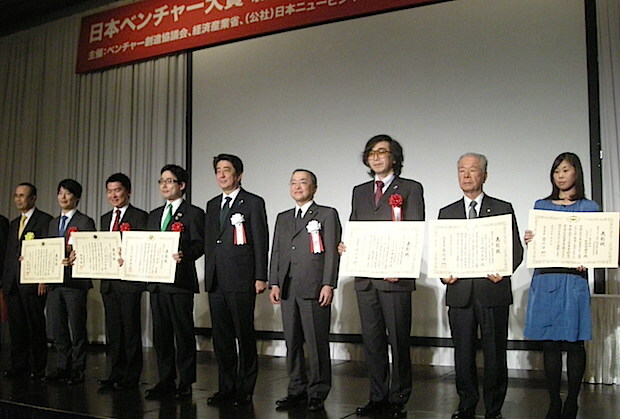 ), and Japan New Business Conferences held the award-presenting ceremony for the 1st Nippon Venture Awards on Thursday in Tokyo, where Japanese prime minister Shinzo Abe, economy minister Yoichi Miyazawa, and six winners of the awards were invited. 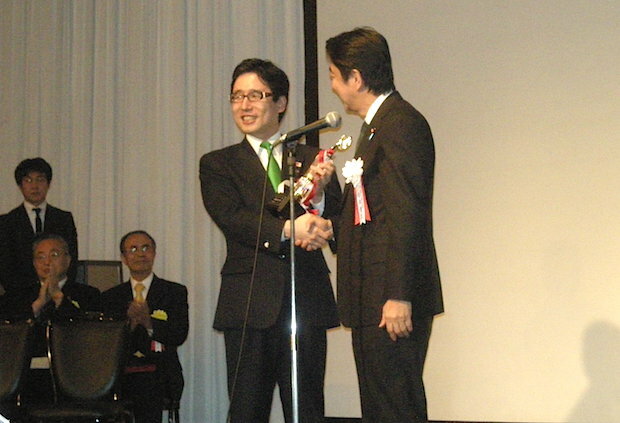 Euglena CEO Mitsuru Izumo receives the award from Japanese prime minister Shinzo Abe. Euglena researches, develops, produces and markets microalgae with a strong focus on euglena. It is expected to be used effectively in functional foods, cosmetics, and jet plane fuel. Euglena CEO Mitsuru Izumo revealed that they want to provide prime minister’s aircraft with fuels from Japan-made with euglena. 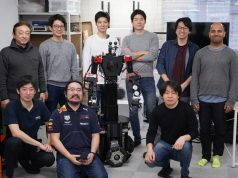 Cyberdyne has developed robots for medical, welfare, nursing care, manufacturing, disaster rescue, entertainment industries leveraging Cybernics technologies. 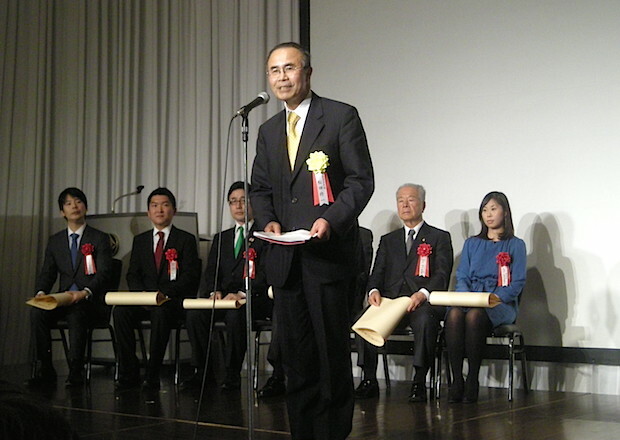 Daiwa House Industry invested in and partnered with Cyberdyne on robotics business in February of 2007. Since then, Daiwa has been entirely supporting Cyberdyne from launching a business to IPO. Coiney provides a smartphone-based credit card payment solutions. It is served with a small, circular credit-card reading device that is attached to smartphones via the earphone jack. Spiber is working on mass-producing artificial spider silk, an extremely strong, light and stretchable fiber. Crowdworks is a leading crowdsourcing platform that connects 250,000 individuals with 44,000 companies. 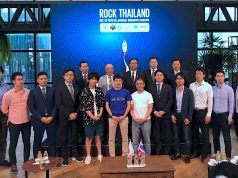 Shuichi Matsuda, the awards’ chief juror and professor of Waseda University, said that 153 applications had been received from companies from all over Japan. While applying companies must be less than 10 years old, it turn 53% of these were less than five years old. Companies headed by female entrepreneurs accounted for 15% of all applicants this time, but the professor sees this ratio reaching 30% in the near future.